Congratulations. You’re the boss! Now, you’ve got to figure out how not to eff it up. Avoid these new boss mistakes if you want your team to actually like you. Congratulations. You’re the boss! Feels pretty good, right? Now, you’ve got to figure out how not to eff it up. Here are the worst mistakes new bosses make— and how to avoid them. Sure. You’re the boss now so you don’t want to be doing shots with your team or sharing TMI about your personal life, but you can (and should) show your personality. Nobody wants to work for a robot. “Too often new managers are taught that now that they are in a management role, they must divorce themselves of any type of personal connection to their team,” says Tamica Sears, founder of career coaching company, Sears Coaching. Strike up friendly conversations and learn about the people who work for you. “Knowing your team on a personal level may be all that stands between them staying with the company and leaving. No one wants to be treated like a cog, they want to be treated like a person,” she says. “A trap that new managers often fall into is walking in with marching orders to clean house,” says Sears. If you start replacing people right away, you might miss out on getting to know the talented team members who’ve been at the company for a while and know the ins and outs of their role and the organization. “Just because a team didn’t perform well under different leadership does not mean that they won’t perform well for you,” she says. Bigfoot doesn’t belong in the boardroom. “Many new bosses think that they have to make their mark quickly and dramatically in order to be successful—which leads to what I call ‘the bigfoot,’” says Mary Abbajay, author of Managing Up: How to Move Up, Win at Work, and Succeed with Any Type of Boss. Like King Kong, they stomp in, take control, and change everything without taking the time to get to know the current team members and processes. Everyone wants to climb up the corporate ladder, but there’s another way to operate that could be even more effective. Help your team up instead of pushing them down or keeping them paralyzed on one rung until they lose patience and quit. One of the biggest mistakes new bosses make is to only discuss development goals during annual reviews and to fail to teach people new skills and share their knowledge. “They use the 'throw people off the cliff' approach to development,” says Halelly Azulay, founder of development firm TalentGrow. “They don't tolerate failure and criticize or punish mistakes. Or, they try to 'save' people from mistakes and don't allow them to learn and experience consequences,” says Azulay. There has to be a middle ground between having a sink or swim attitude and micromanaging forever while your team members are still wearing floaties. “To fix or avoid this mistake, new bosses should develop people and make it safe to make mistakes,” says Azulay. Consider having weekly or month one-on-one meetings to talk about long and short-term goals and help people achieve them through support, not micromanaging. 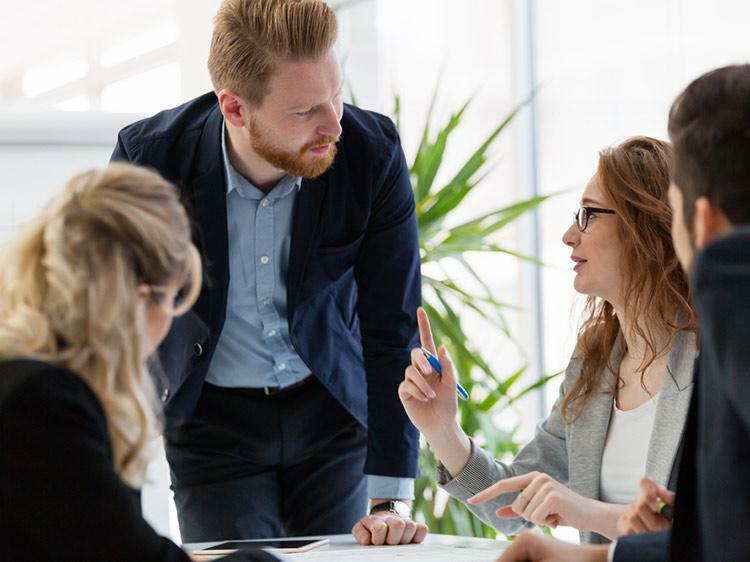 Some managers avoid difficult conversations at all costs, especially if they’ve been promoted and are now managing to people who were previously on the same level. But remember that your direct reports can’t grow and exceed your expectations if they have no idea what you want. By not giving feedback that you perceive to be harsh, you’re actually hindering your team more. “It's far kinder to tell your team what you're thinking than it is to spare their feelings by avoiding the topic,” says Kimberlee Stiens, founder and CEO of career coaching firm ranavain. “Before you know it, you'll be six months into the job and, rather than helping your team succeed, you've been watching them fail over and over again in the same ways,” she says. And don't forget your manners. Say thank you and tell people when they're doing a stellar job. “That will build the trust needed for them to receive your more critical feedback with grace and an open mind, which will help them turn things around and help you see how important your feedback is to their careers,” says Stiens. As you grow into your career and your new role as a manager, the last thing you want to do is coast. There are so many resources out there, from online courses you can take, books you can read and management tips here on Monster. Join Monster, and we’ll send you career advice like this in your inbox each week—as well as our latest job listings for the day when you’re ready to take your polished management skills to a whole new level—and team.